This is the perfect house for a relaxing, private, fun family getaway. 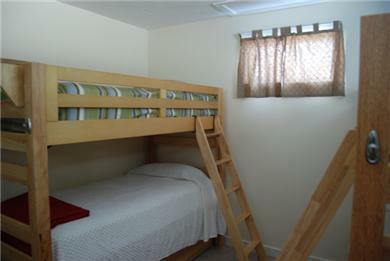 The lower level has a finished family room that is perfect for teens and kids who would like their own space. 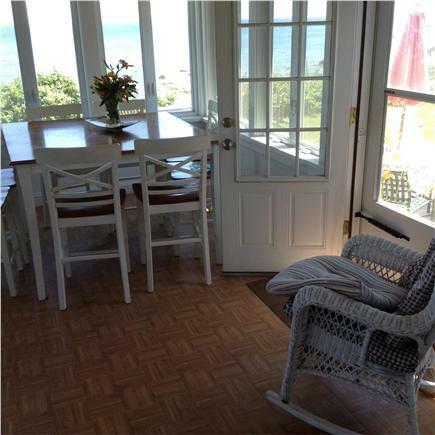 Soak up the ocean views from the enclosed porch, and on a clear day you can see Provincetown! 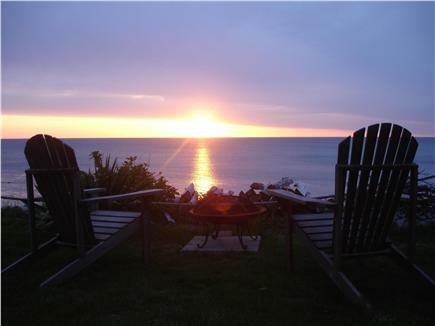 Be captivated by the breathtaking sunrises, moon rise, and enjoy the fresh sea air. 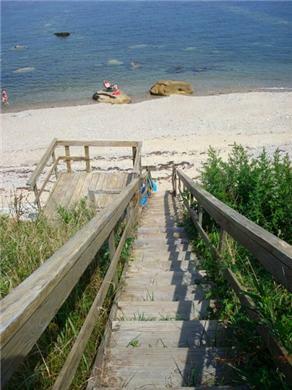 Located on a private beach away from the busy public beaches, perfect for floating, looking for treasures or explore the tidal pools, walking, jogging, fishing, and evening bonfires. Kids love a day at the beach, but it's a lot of work for parents. This is the perfect spot for you! No need to pack a lunch, or run looking for a public bathhouse...you'll be steps from home! Shower the kids off in the heated outdoor shower, and have dinner overlooking the ocean. The neighborhood is family friendly, on a dead end road, great for privacy! 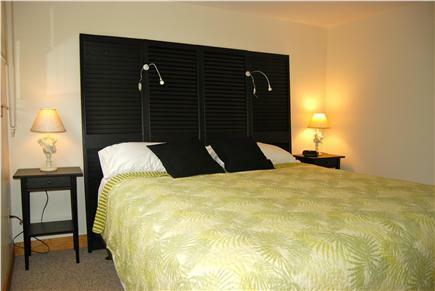 This home is located on an environmentally protected bluff, and is fully furnished withall the appliances you'll need. We are a short dr...ive to Plymouth Plantation, Plymouth Harbor, and for all you golfers, there are at least 8 golf courses in the Town of Plymouth. We are 10 minutes from Bourne, MA on Cape Cod. Take advantage of local fishing excursion boats, private charter boats, whale watching, and other historical tours leaving Plymouth harbor daily. Other areas to explore and enjoy include the city of Boston or Newport, Rhode Island, for a great day trip! 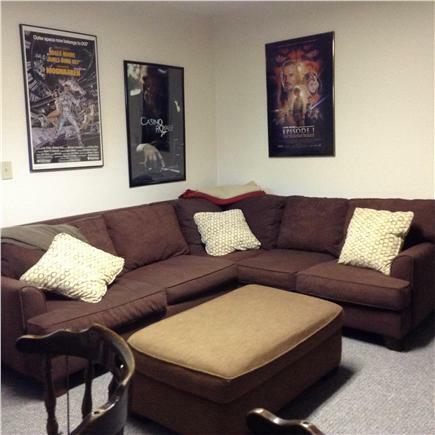 Additional pricing info: A $150.00 cleaning fee is taken out of security deposit. 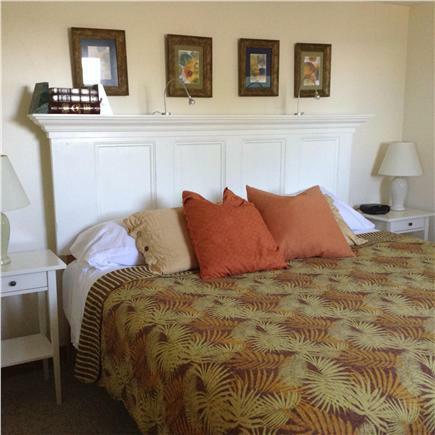 Available for long term rental Oct thru May, State and local taxes of 11.7% will apply. I cannot say enough how much my family and I loved this house and property. There was plenty of space for our entire family to come and not be on top of each other. Multiple generations came throughout the week and there was something for everyone; from our 6 year old boy searching the beach for "critters", to our 21 year old daughter enjoying a couple of beers on the beach, to Grandma reading in the sun room. The house was well maintained, and easy to find. 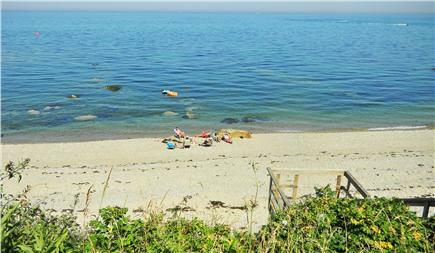 The private beach is perfect for the kids as you don't have to worry about strangers, and the adults loved the view. 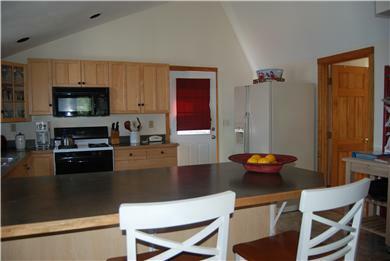 There is a ton to do close by from shopping to food, to the national park right up the road. We spent our nights around the fire pit making s'mores and enjoying the sunset. Even after we left Rebecca was such a delight to work with. My daughter left her prescription sunglasses at the house and Rebecca was kind enough to mail them to her at no cost. 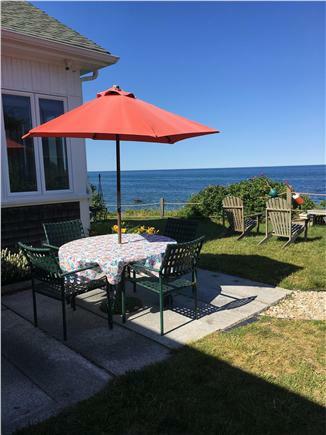 We have stayed at many houses on the Cape over the years, but believe we have found the one we will be returning to year after year. I'm so sorry, I meant to leave a review about how great you were in ensuring we had the best time. We would love to stay again and are already working on my in laws for the end of next summer. So hopefully I'll have a chance to make it right in the future! Thank you again and making things right with us. You and your sons were all very kind and helpful. We stayed in August of 2017 and loved it. 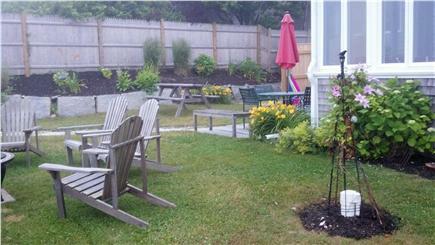 Perfect if you're looking for a private, quiet ocean getaway close to Cape Cod. 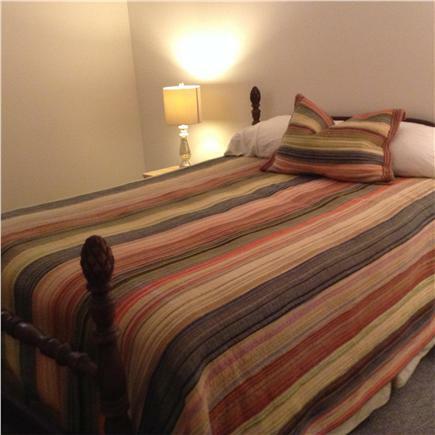 The owner has planned for all potential guest needs and situations that might arise. Highly recommend staying here! Sissy and I built rock castles on the beach, we buried daddy up to his neck, took a walk on the beach, and looked for rocks to paint... A great selection! Can't wait to come back. Thank you for sharing your beautiful home with us. I was totally impressed with how spotless it was. You have thought of everything for your guests. 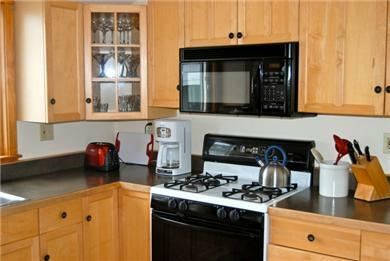 This is by far the most well equipped home we have ever rented. Loved your suggestions in you Blue book and did many of them. Our family had memories here that we will keep the rest of out lives. We will certainly return!! Such an amazing 2 weeks. Gathering 3 generations of familly. We were also able to share this lovely location with local chilhood friends who have been part of my life for 68 years and counting. 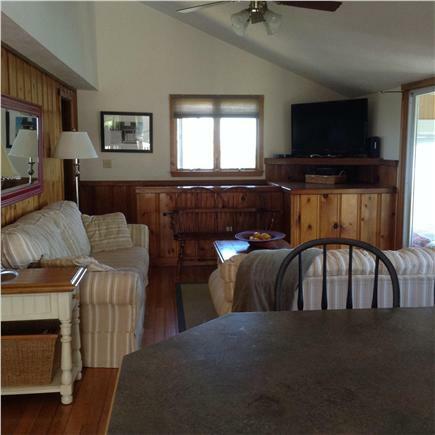 This beautiful seaside home provided everything we could ever need for a relaxing comfortable stay. Thank you for all the details such as sand toys for our toddlers, cleanup supplies, every possible kitchen item, and many more niceties. Three generations from Maine had a fabulous 4th of July Week! Those firworks were Amazing! We'd never been so close to them before! Thank you for a wonderful week!! Thanks so much for another 10/10 Vacation. Such a beautiful place to relax and enjoy famiy. We had a marvelous time, again! !